Who among your friends can pick colors the fastest? 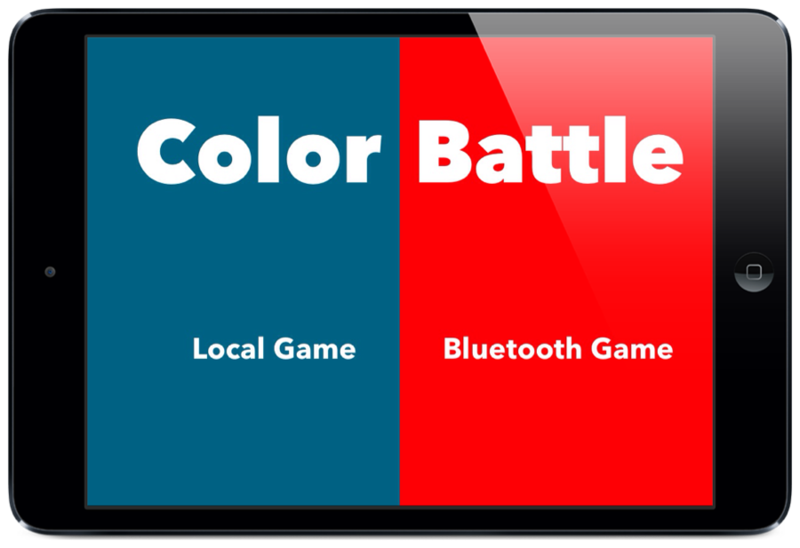 Color Battle is a simple and fun two player touch game for iPad, iPhone, and iPod touch. 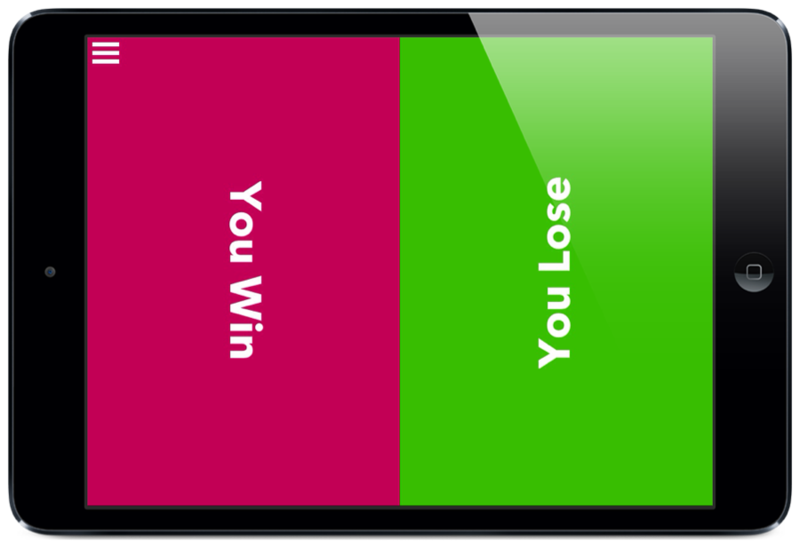 Play against your friends on one device or on two devices over Bluetooth. Download it for free on the App Store. Each player chooses one side. 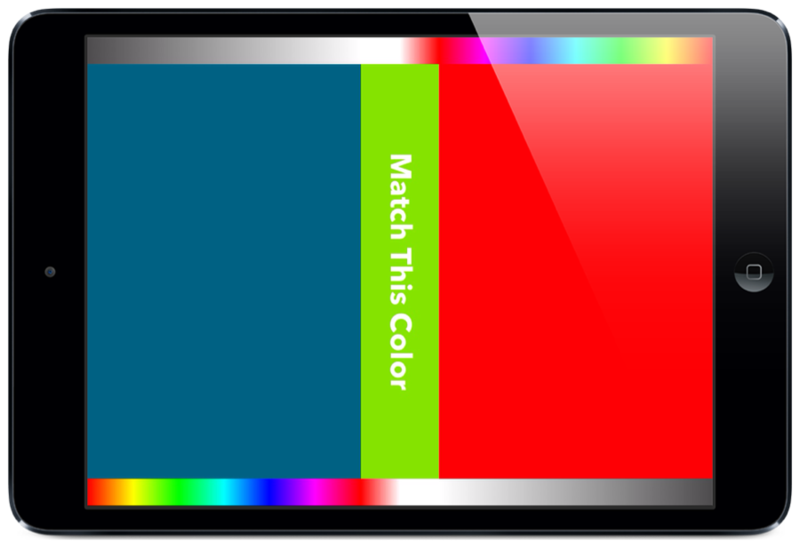 Both players adjust the color of their half of the screen to match the color shown in the middle using the color and brightness pickers on the sides. 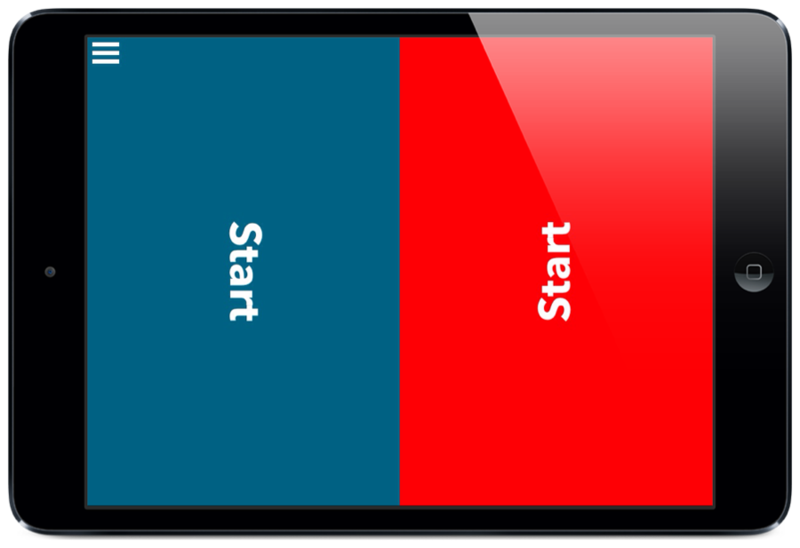 The screen area of the player who matches the color first increases. The player who claims the whole screen first wins! The free app lets you play against each other on one device. You can upgrade to play with two iPads, iPhones or iPod touches over Bluetooth. What are the requirements for running Color Battle? 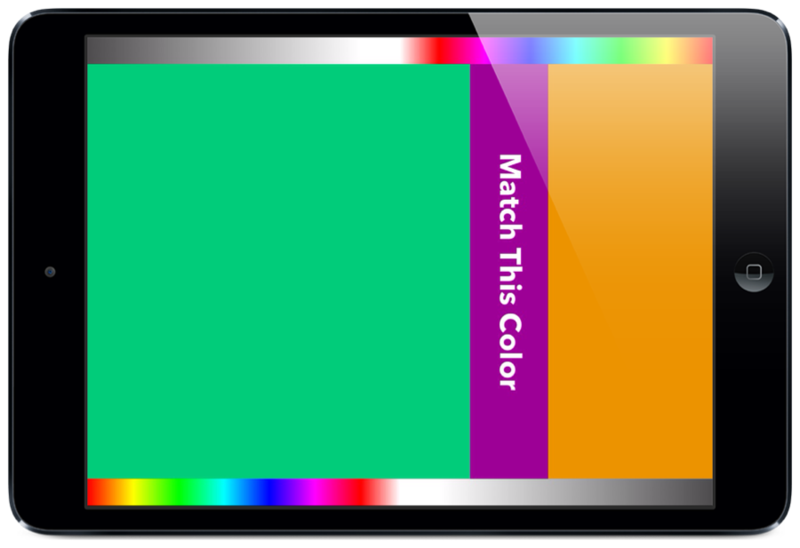 Color Battle is an universal app running on iPads, iPhones, and iPod touches with iOS 6.1 or newer. I have purchased Bluetooth support on one of my devices. How do I enable it on my other devices? You only have to buy the Bluetooth support once for all your iOS devices — the purchase is bound to your Apple ID. If you have purchased the Bluetooth support on one device, select "Restore Purchase" on the other devices. Don't see your question? Feel free to send us a message.